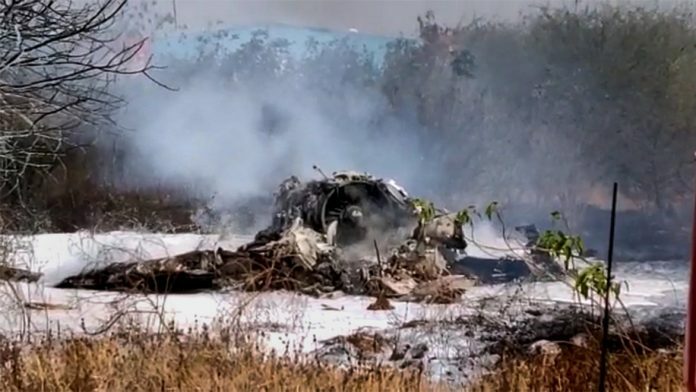 Flight testing crew are a national resource and trying to exact mileage out of the accident, replaying the Modi-RaGa-Rafale scam-mongering, will be a disservice to the pilots who died in the crash. Rahul Gandhi is being blamed because he was, in order to oppose good deal just to oppose Modi, wanted Dasult to choose HAL so that IAF never gets fighter plane or get such kind of product. Just to oppose Modi he has no respect for life of pilots or for that matter our country India. This is a tragic accident and RIP for the crew. The sad part is trying to draw political mileage out of this accident and worst is idiots including press drawing conclusions without ioata of knowledge on fighter aircraft or procedures. The Airfore has initiated board of enquiry as per established and proven procedure and let them come out with the report. Merely blaming the HAL for political reasons is not correct. Refurbishing a 30 year old aircraft us not a joke. When seven other aircraft have been successfully refurbished and handed back to Air Force this is odd incident. Let the BOE come out with report and take stringent action on anyone found to be accountable. Why does the content writer ignore that it was INC that brought this sad state upon the nation? Which are these ‘agencies who have scant regard for safety and human lives’? The ppl incharge of safety protocols are invariably ex military aviators. It’s sad to see this unfortunate accident taking the colour of politics like everything these days. No matter how deeply disturbed we may be by the loss of our colleagues. continuing to do what we do constitutes the best tribute to our friends and colleagues who led the way. As an Ex- Jwo, my heart bleeds for the brave Sid and Sam who laid their lives in duty to meet requirement for testing the Aircraft. May their souls rest in peace. My heart felt condolences to the grieving families of Side Sam. I salute them from my heart. Pathetic Cdr Sanjeev. He is a pseudo. Not a Officer. Have a heart you moron. They were murdered in a 30 yr old craft upgraded by HAL. The men are magnificent. Their flying machines are showing their age. Rest in peace.